Glaciar Perito Moreno Hostel i El Calafate, Argentina: Reservér nu! 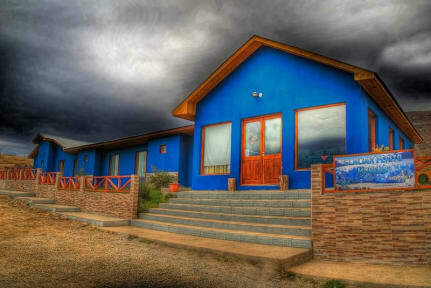 Located in El Calafate, Glaciar Perito Moreno Hostel offers budget accommodation with free WiFi access. The property offers private and shared rooms. Guests can make use of the well-equipped shared kitchen or unwind in the common lounge. Other facilities offered at the property include a tour desk. Parking is available for free on site. 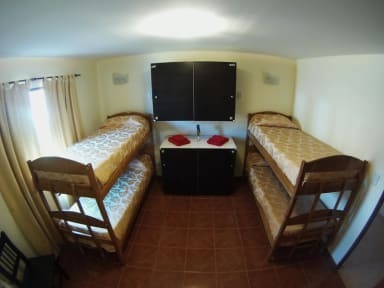 All rooms at Glaciar Perito Moreno Hostel are comfortably furnished and heated. Both shared and private bathroom facilities are available. The rooms has a bunk bed, a private bathroom and views of the mountains. Bed linens are provided. The hostel is in front at the bus station, is 1.5 km from Argentinean Lake, 700 metres from Regional Museum and 300 metres from Libertador Avenue. Comandante Armando Tola Airport is 18 km away.